A group of 13 companies from the German petroleum industry have recently come together at BP in Bochum, Germany, to discuss the progress made in standardised data communications. Refinery operators, tank terminal operators, as well as IT service providers, followed the invitation from Implico to attend the 13th IFLEXX/PIDX meeting. One of the topics of this year’s meeting was the new PIDX Planned Movements standard. 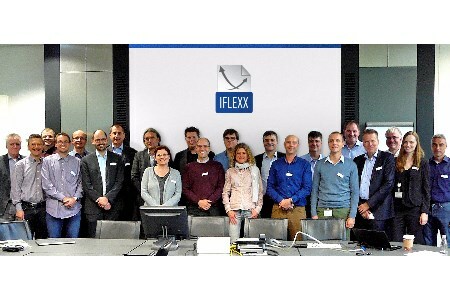 The IFLEXX community (a group of German petroleum companies) has actively supported standardised data communication for many years. Supply chains in the downstream sector are tightly networked, as transhipment hubs, and their partners exchange vast amounts of data every day. If the companies use different data formats, these processes become extremely complex. The meeting organisers presented the latest developments from PIDX, the international counterpart of IFLEXX. Its recently introduced Planned Movements is a new standard format for transmitting order data from an ERP system to a terminal management system. It allows tank terminal operators to view all the relevant data on a planned load even before it is collected. The IFLEXX members then discussed on-truck computer integration, data exchange portals, IT security and quantity conversion. Since the density and volume of petroleum products vary with temperature, all quantities are converted to an agreed reference temperature, in Europe is 15°C in Europe. This ensures that companies within the supply chain mean the same thing when referring to a particular quantity. The IFLEXX standard, therefore, makes provision for the data records to employ different units of quantity at the same time. The system converts the quantities at the loading terminal. During the IFLEXX meeting, members discussed how the OpenTAS QCM converter can be used to validate the quantities. Project managers explained how they had partnered with Implico to set up a standardised data exchange system with over 40 loading locations. Tank terminals and refineries in seven countries now transfer all of their loading data to iGOS, a cloud service specialising in the oil and gas industry, where the data is checked, harmonised and sent in standardised PIDX format to the company's SAP system.